To resolve this issue, refer to the sections in this article for instructions. Your Avast subscription is active. The Avast application version and virus definitions are updated. Avast reports that You're protected. Firewall is included only in Avast Internet Security, Avast Premier, and Avast Ultimate. 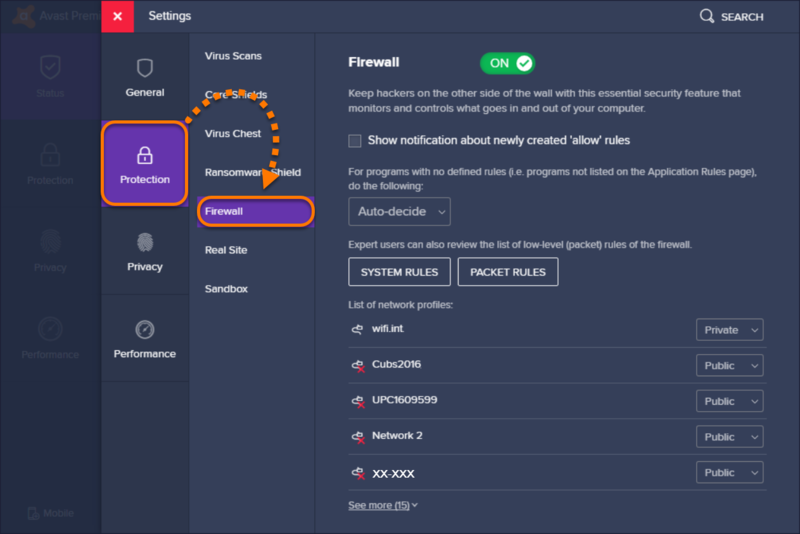 If you are using another version of Avast Antivirus or another firewall (for example, Windows Firewall), skip these steps. Open the Avast user interface and go to Menu ▸ Settings. Select Protection in the left panel, and click Firewall. Check that Firewall is enabled (ON). 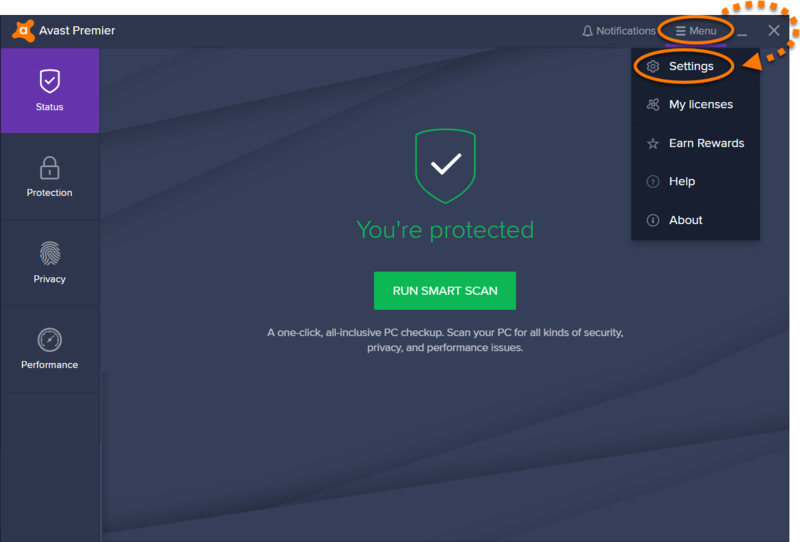 If Avast Antivirus is properly installed, activated, updated, and actively protecting your PC, try to turn Avast Antivirus and/or Avast Firewall on directly in the Action / Security Center. Click the Security and Maintenance notification. 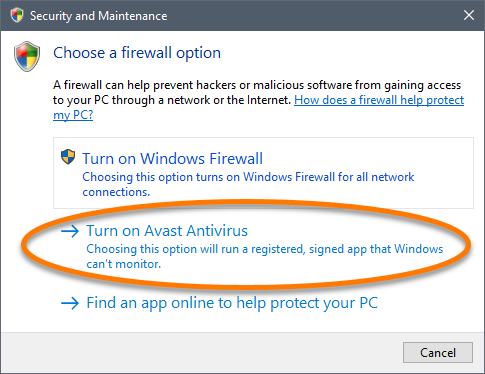 Click Turn on Avast Antivirus (or Turn on Avast Firewall). 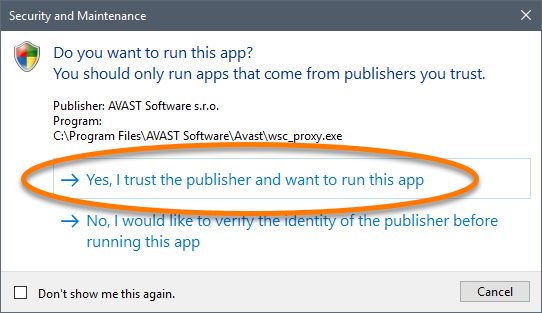 Click Yes, I trust the publisher and I want to run this app. The Action Center / Security Center acquires information about the current status of installed antivirus software by using Windows Management Instrumentation (WMI). If there is a problem in the WMI Repository, or the WMI service is not started, the Action Center reports outdated or misleading information.